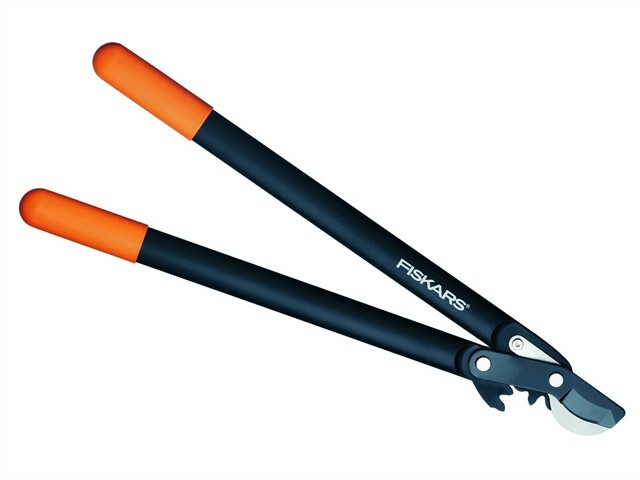 These Fiskars loppers are suitable for heavy cutting of fresh wood. The unique PowerGear™ mechanism increases cutting power and distributes it evenly throughout the cutting action. The PowerStep™ technology allows gardeners to cut branches in 1 or multiple steps. This makes the workload easier, eliminating strain and pain, and increases the overall pleasure of gardening. Fiskars loppers are made of fibreglass reinforced polyamide, which makes them lightweight and strong. The cutting blades are PTFE coated for less friction.